This trip is for Fishers students age 9th-11th grade. This trip supports Grace Church’s Outreach Partner New York City Relief (NYCR). At NYCR, lives are changed every week; from those served on the streets to the volunteers who respond and connect with the poor and homeless of New York City. NYCR is a ministry dedicated to respond to God’s heart for the poor and broken. 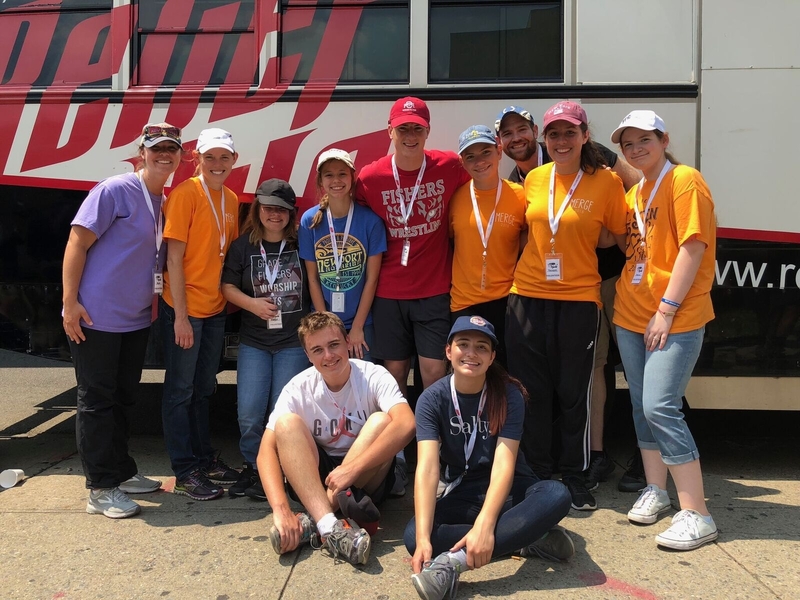 Several times each week, the Relief Bus – a mobile soup kitchen and outreach center – goes to the neediest areas to feed the hungry, bring hope, and connect the poor and homeless of New York City and New Jersey with the resources they need for life change. Grace Church volunteer teams stay on-site at NYCR's property in Elizabeth, NJ where they worship together and learn from NYCR outreach staff. Before each outreach, teams prepare soup and drinks, stock the bus with supplies, and travel together on the Relief Bus to New York City to serve at different outreach sites throughout the week.